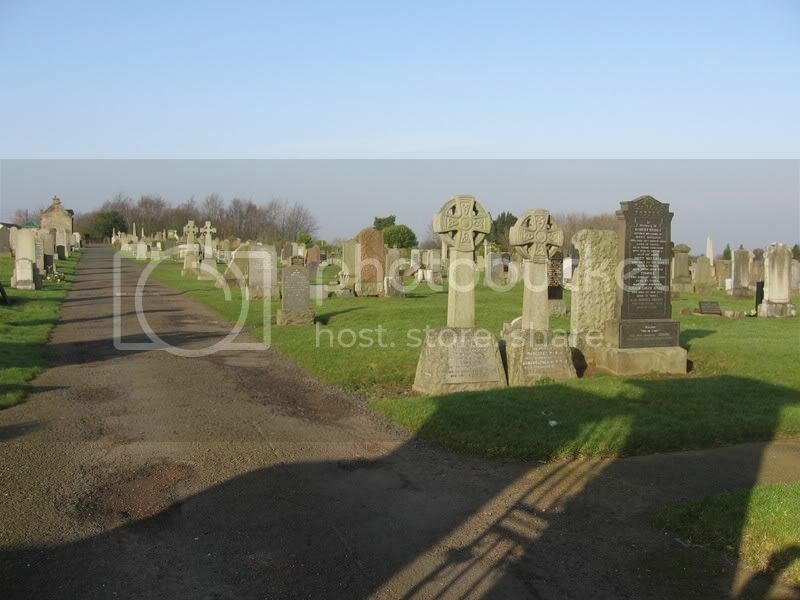 The cemetery opened in 1889, with a new section on the opposite side of Station Road opening in the 1960s. Photo shows the older section. The newer section is on the other side of the road. 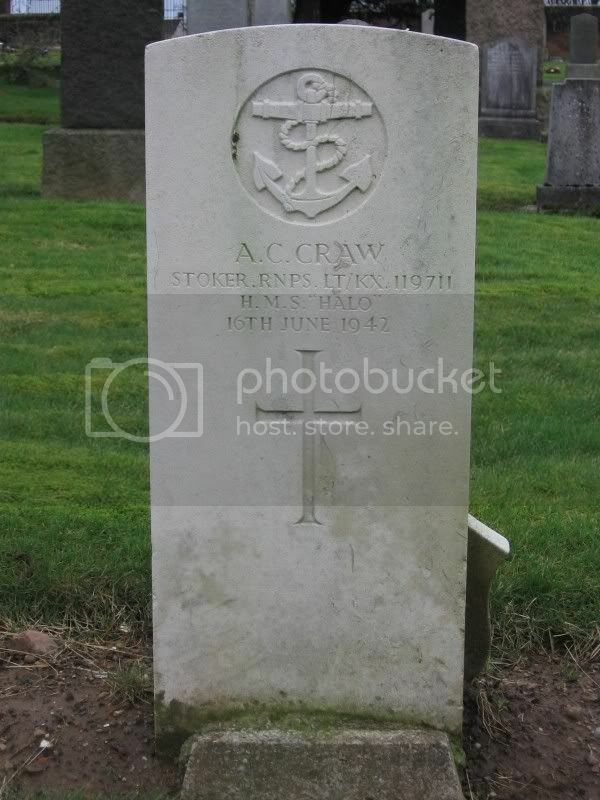 All the CWGC burials are in the older section, and most of the World War commemorations are in here as well. 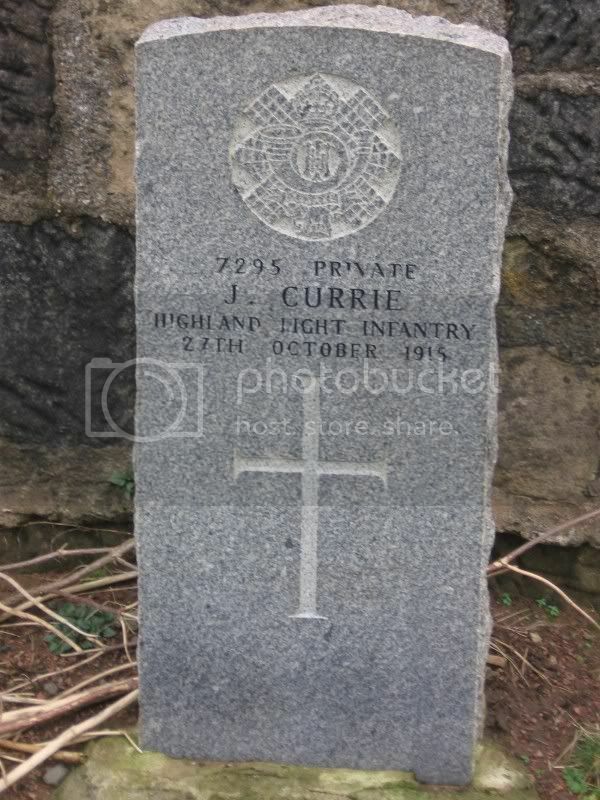 The new section contains some post-WW2 burials, as well as some other military related graves. Additional information: Husband of Helen Anderson, of Birkenshaw. Grave/Memorial Reference: Div. 3. Sec. F. Grave 101. Unit Text: 1 Drilling Coy. 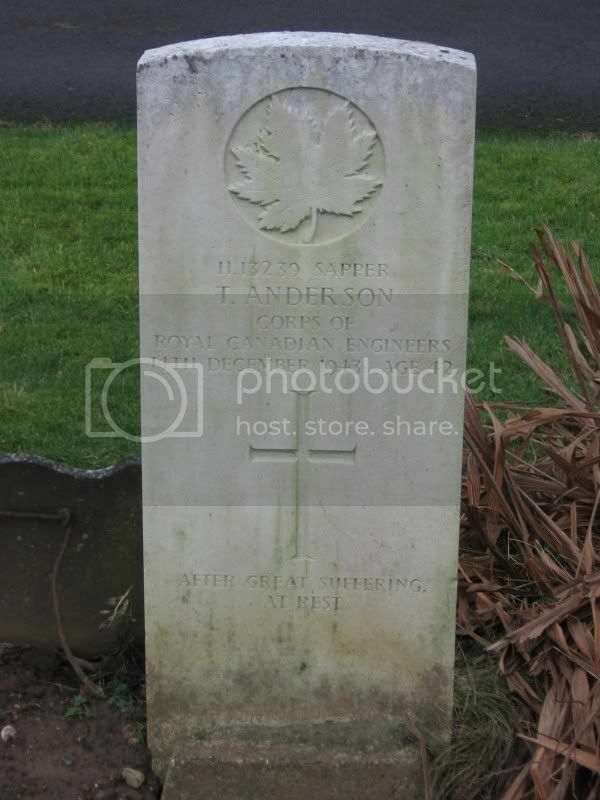 Additional information: Son of James and Esther Anderson; husband of Rose Florrence Beatrice Anderson, of Dorking, Surrey. Grave/Memorial Reference: Div. 3. Sec. F. Grave 222. 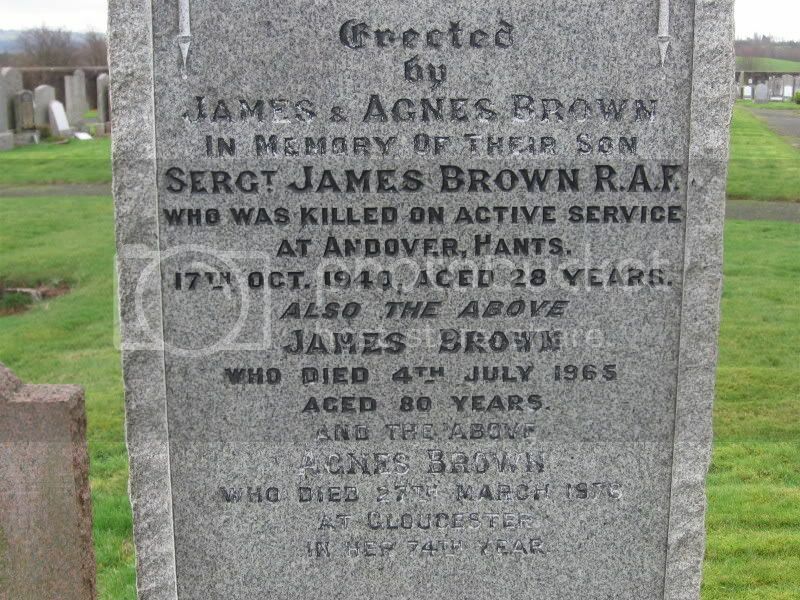 Additional information: Son of James and Agnes L. Brown, of Larkhall. Grave/Memorial Reference: Div. 3. Sec. G. Grave 176. 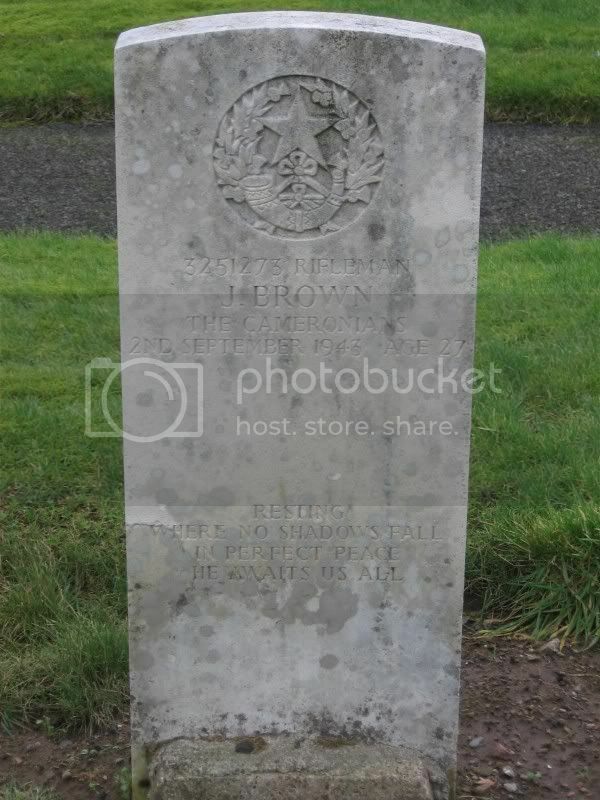 Additional information: Son of David and Catherine Brown, of Larkhall. Grave/Memorial Reference: Div. 2. 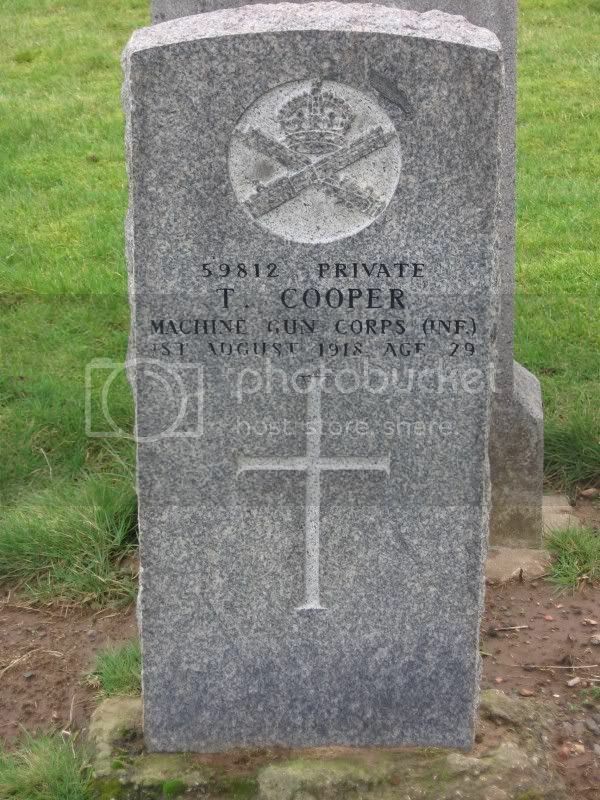 Grave 2454. 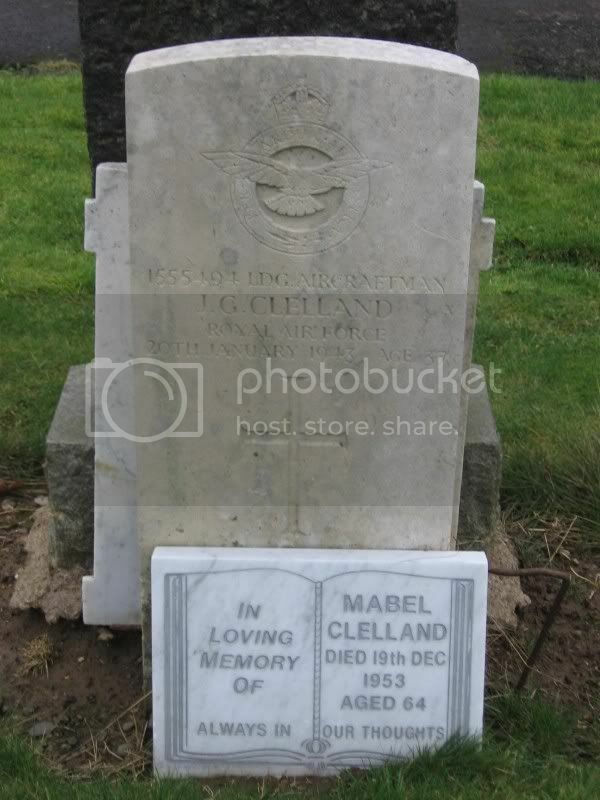 Additional information: Son of Archibald and Sarah Clelland; husband of Isabel Mabel Clelland, of Clydebank, Dunbartonshire. 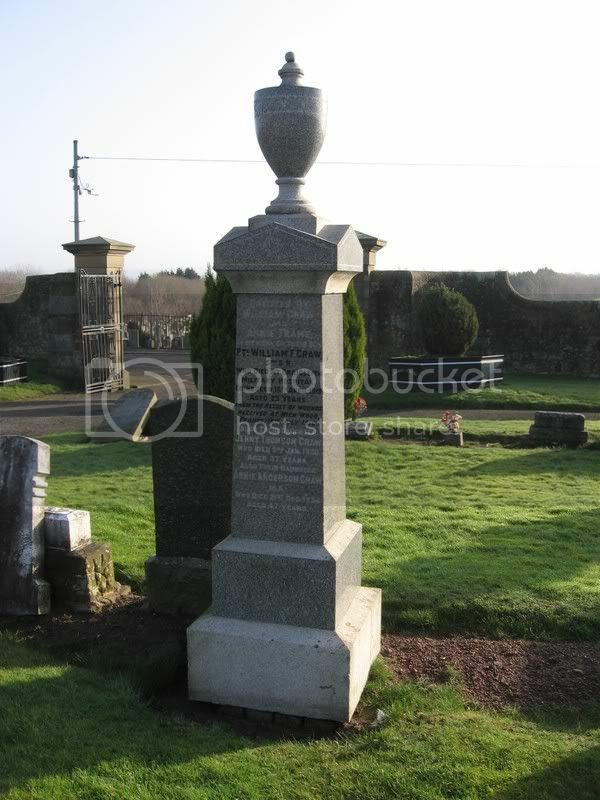 Grave/Memorial Reference: Div. 3. Sec. K. Grave 27. 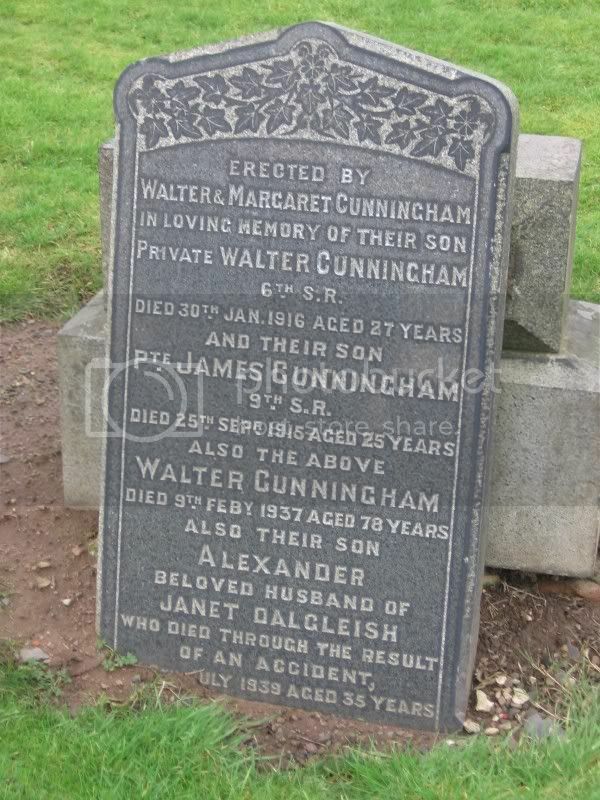 Additional information: Son of Mrs. A. Connor, of 79, Muir St., Larkhall. Unit Text: 2nd/10th Cyclist Bn. 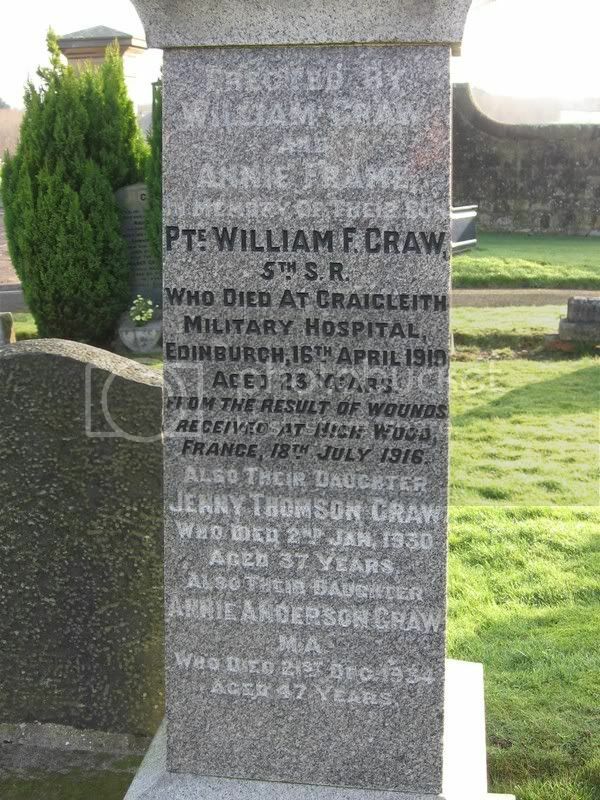 Additional information: Son of William Thomson Craw and Annie Frame Craw, of 1, Cherryhill View, Larkhall. Born at Larkhall. Grave/Memorial Reference: Div. 3. Sec. F. Grave 125. 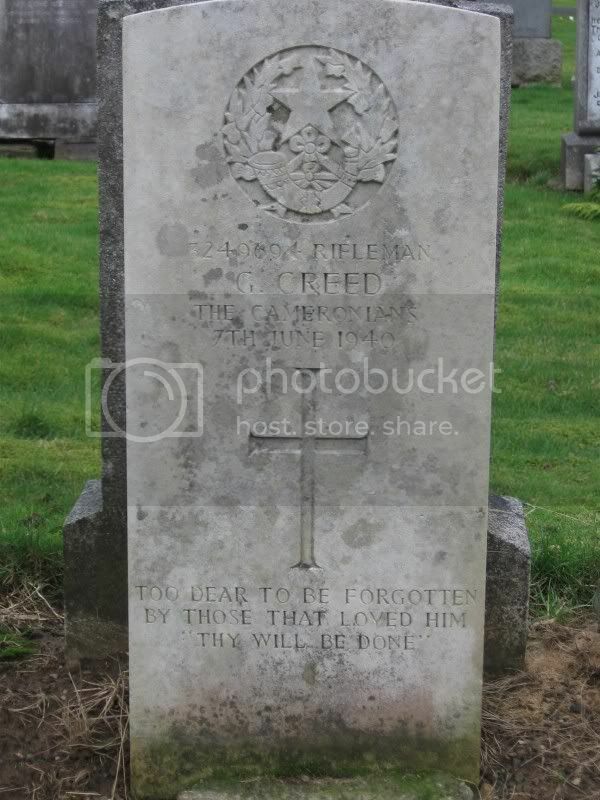 Additional information: Son of William and Elizabeth Creed, of Larkhall. 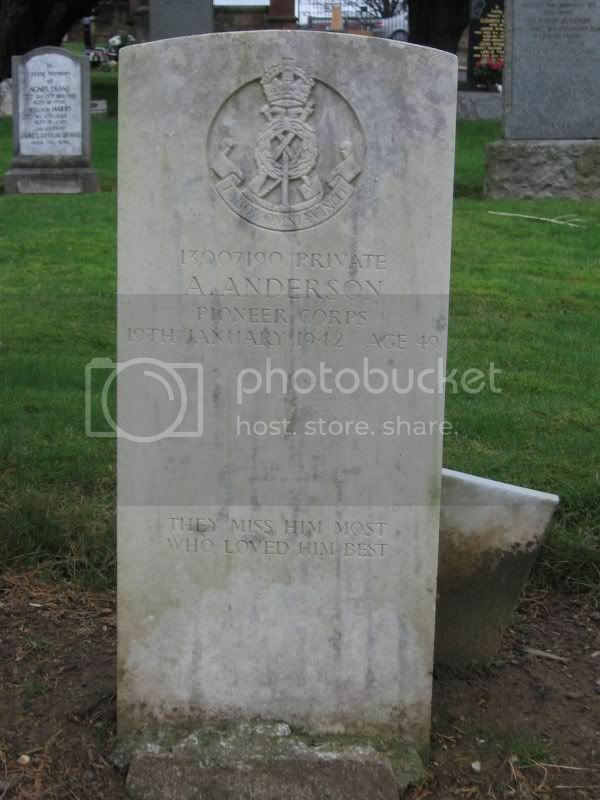 Grave/Memorial Reference: Div. 3. Sec. G. Grave 168. 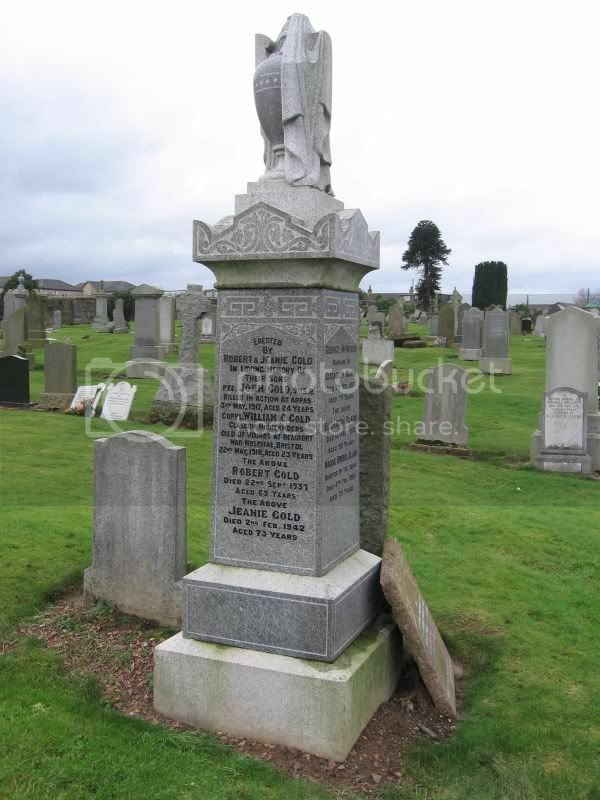 Additional information: Son of Mrs. Margaret Cunningham, of 73, Victoria St., Larkhall. Unit Text: "B" Coy. 9th Bn. 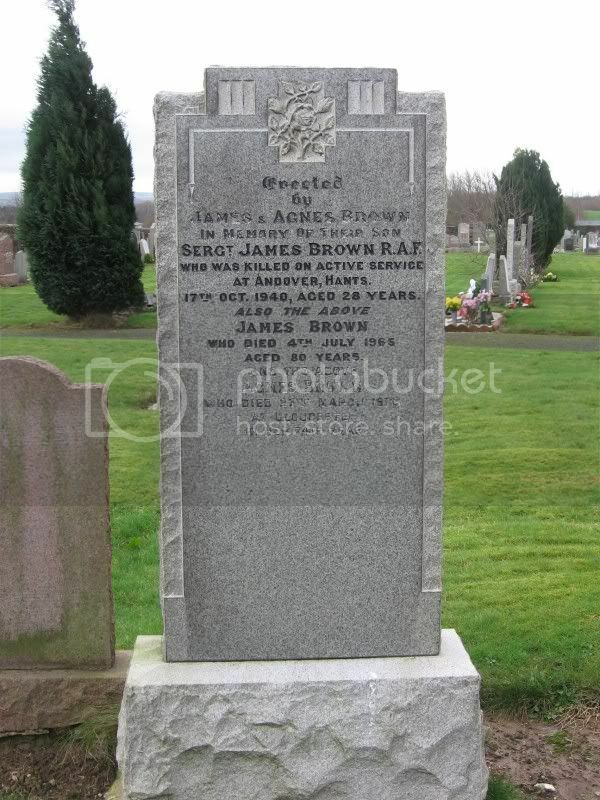 Additional information: Son of Walter and Margaret Cunningham, of 72, Victoria St., Larkhall, Lanarkshire; husband of Ada Presley (formerly Cunningham), of 9, Carlingford Terrace, Radstock, Bath. 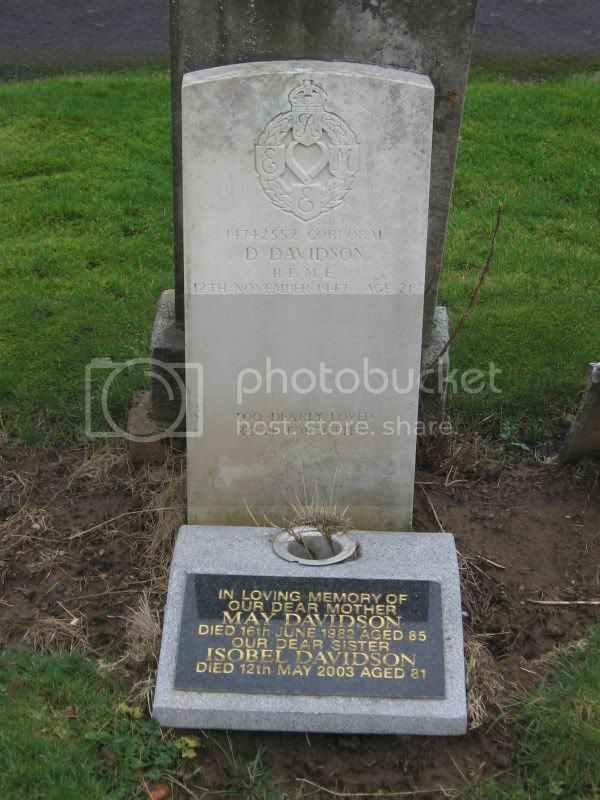 Additional information: Son of Thomas and Jemima May Davidson, of Larkhall. Grave/Memorial Reference: Div. 3. Sec. O. Grave 215. 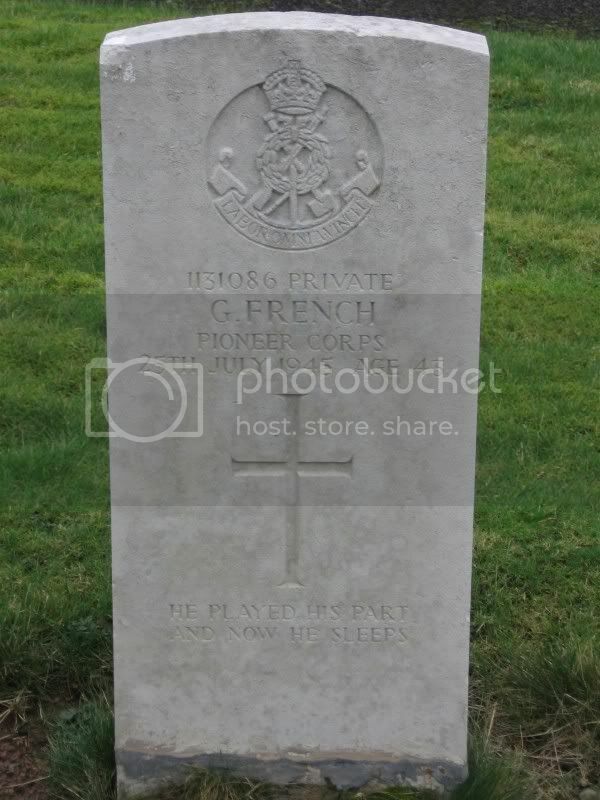 Additional information: Son of George and Jane French, of Birkenshaw. Grave/Memorial Reference: Div. 3. Sec. L. Grave 121. 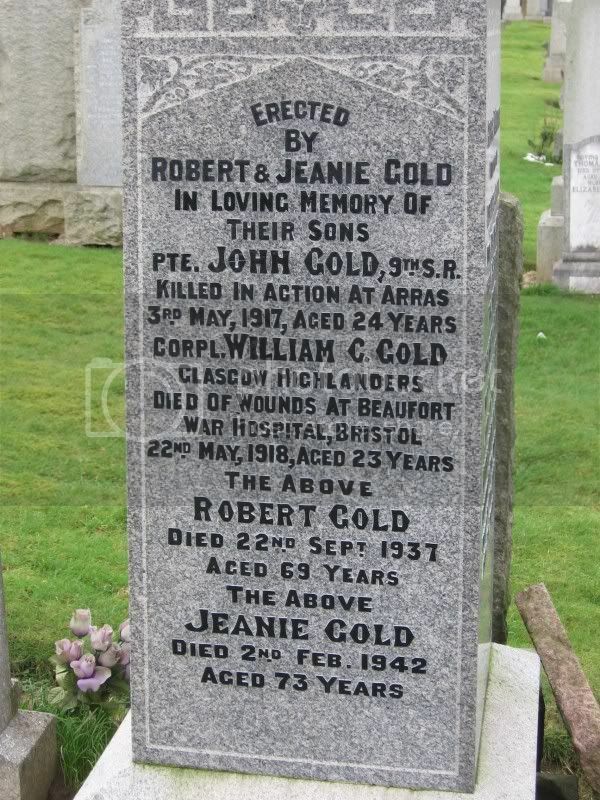 Additional information: Son of Robert and Jeanie Gold, of Viewfield, Machan, Larkhall, Lanarkshire.